Learning List has reviewed hundreds of K-12 instructional materials. Some are textbooks, many are digital materials and some are even DVDs. What we’ve learned is that no two materials are alike. That makes our job exciting and educators’ jobs even more difficult. In the “old days,” educators just had textbooks to compare. Today, they have to compare online, adaptive products to paper-and-pen materials. How do you do an apples-to-apples comparison of peaches and pears? The obvious answer is to use the same criteria to assess all products. But, that’s not as easy at is sounds. Let’s take, for example, aligning to standards. Learning List verifies that instructional material is aligned to the content, context and cognitive demand of each standard. One of the most challenging aspects of an alignment analysis is to determine whether the material aligns to the verb of the standard to grade-appropriate level of rigor. A comprehensive online video-based material could more easily provide simulations and prompts to ensure that students demonstrate their mastery of the content of the standards in in the manner prescribed by the verb(s) in each standard. In contrast, a print material intended to be a study guide may contain descriptions and examples, but it may not contain simulations, prompts or questions. Could the examples alone suffice to align the material to the verbs of the standards? In order for a material to be aligned to the verb of a standard, does the material have to require students to demonstrate that they can do what the standard expects students to be able to do, or is it sufficient for the material to prepare students to be able to do what the standard expects? In other words, must instructional materials contain prompts (questions, activities) or would an example depicting what the standards is teaching sufficient? After much debate, Learning List’s subject matter experts agreed that materials that contain robust examples may align to lower rigor verbs such as “identify,” “compare” or perhaps even “understand,” particularly in the earlier grade levels. 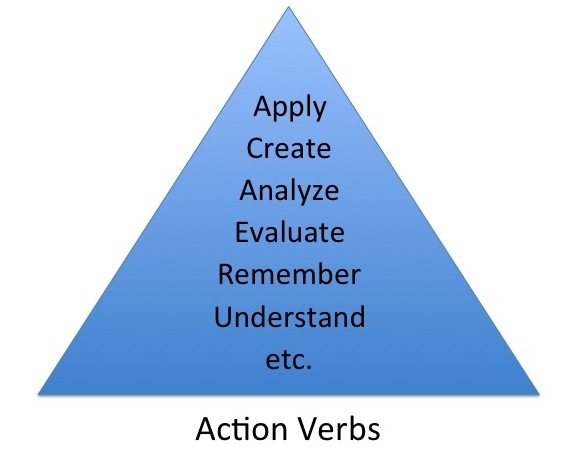 But, in order to align to most verbs, materials must contain teacher prompts or questions or activities for students that require students to demonstrate the action (e.g., “ask and answer,” “analyze” or “demonstrate”) required by the verb of the standard.